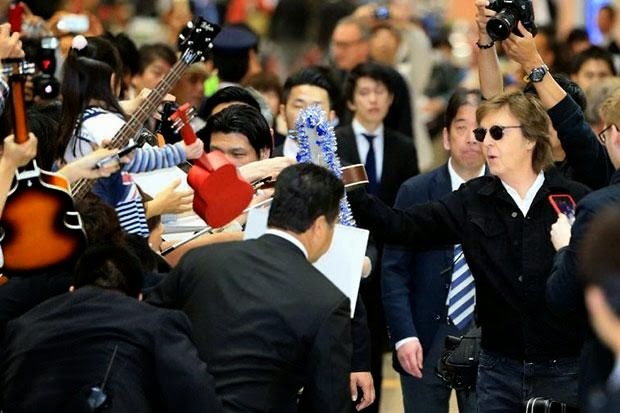 @repostapp from @paulmccartney - Paul Mccartney's arrival in Japan today. Still crazy after all these years! Let's do this. Touching some skin in Osaka. Lovely welcome. Thanks fans!